Beautifully classic with layers of green against the striking white of the brick. 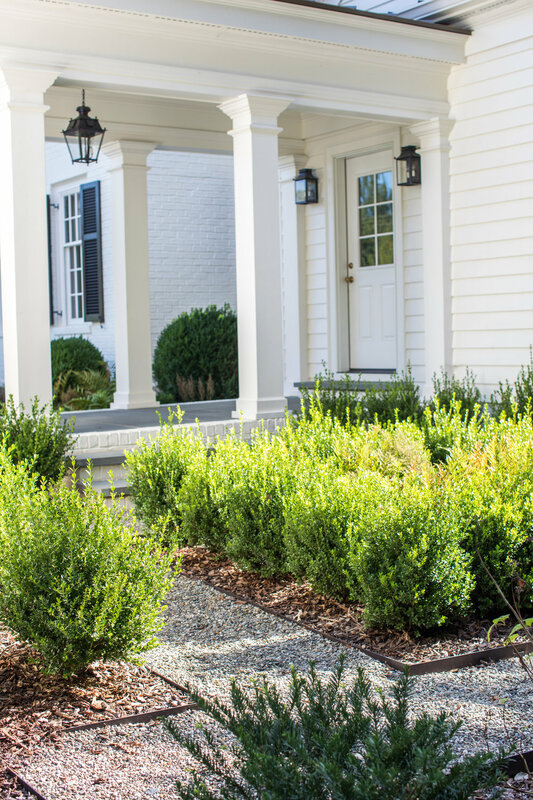 Boxwood groupings highlight the structure of the garden spaces. Letting the architecture inform the space, this design allows details to speak using a refined simplicity.